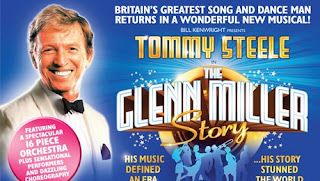 In theatres across the UK, from Friday 28 August for 11 weeks only, music legend TOMMY STEELE will take to the stage in a spectacular new imagining of the extraordinary tale of the world’s most famous big band leader – in The Glenn Miller Story. Featuring a spectacular 16 piece orchestra plus sensational performers and dazzling choreography, the story of one of the most iconic musical figures of the 20th century will be told as never before, coming to the King’s Theatre Glasgow from Tuesday 15 until Saturday 19 September. Bob Tomson and Bill Kenwright team up again to direct the show, having been at the helm of several award-winning musicals including Blood Brothers, Evita, and this year’s new production of Jesus Christ Superstar. Choreography is by Olivier Award winner Bill Deamer (Top Hat, Evita, Save The Last Dance For Me). 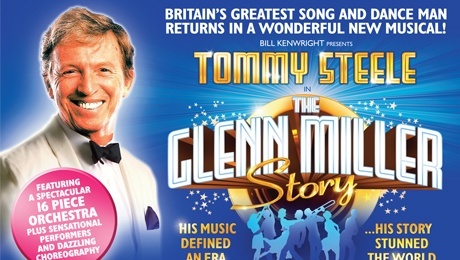 The Glenn Miller Story promises to transport audiences young and old back to the days of the big band, and have them up on their feet jiving.